A true favorite-Almost Everything by Anne Lamott – Joyce's mystery and fiction book reviews with some non-fiction too! I have been listening to Almost Everything as a recorded book and it has been a wonderful (full of wonder) experience. Narrated by the author with her cadences and emphases, this has been a moving listen. 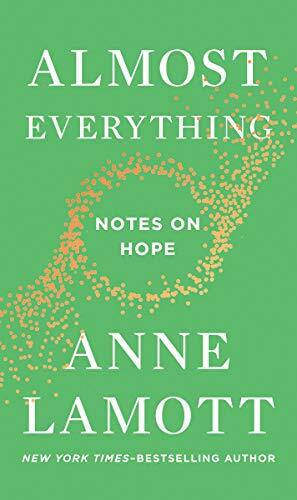 Ms. Lamott captures wonder and despair; anxiety and joy; reasons against hope and reason to hope. There is talk of death, addiction, the perils of advice giving and the beauties of life and connection. There is much understanding along with good reason not to despair. The author’s humanity, warmth, sensitivity and humor are truly special. I recommend Almost Everything most highly. FIVE STARS!! !